It’s been a while since I’ve shown off some of my group break take-aways. I don’t join a ton of them, and I really haven’t wanted to take the plunge on those guys who have breaking businesses. Maybe I will at some point, but I don’t like getting into the high-end stuff and really risking things. Instead, my line of thought is that I can spend the cost of a blaster or two to get the cards from my team and maybe hit something in a lower-middle range product. For both of these breaks I’m showing today, they were handled by Crackin’ Wax, who does a bunch of breaks (twitter handle here) and is an all-around nice guy, hobby ambassador and entertaining to break with. The first one was a combo of Topps Archives and Heritage from last year. 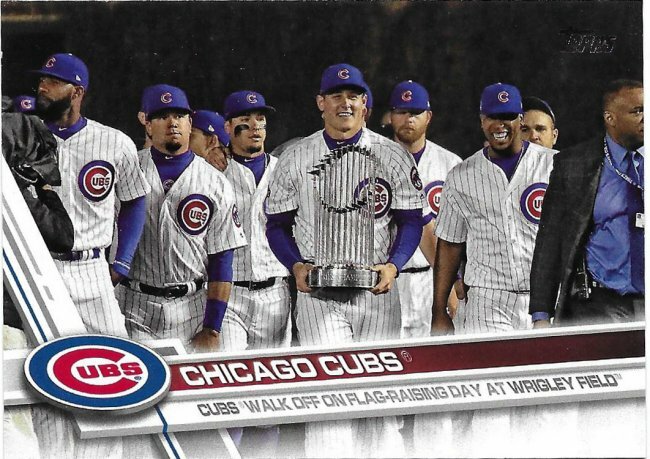 I had some other non-Cubs teams as well, but I’m going to focus on things that fit my collection. Here’s a nice assortment of the base cards, but I didn’t get any inserts or parallels for the guys I collect. However, I did get the Fergie Jenkins Archives missing signature variation (which is for trade). Okay, there was one base card I needed. For these multi-player cards, I’ve made the decision to only chase one copy and apply it to both players. That will ease the burden when it comes to parallels and rare stuff. Now we get into the inserts. This is part of the rookie cup history set. And of course, there’s the obligatory previous year card reprint in order to shoehorn another Bryant card into their product. I think I got this before I got the real one. Someone went to the mall for their portrait! I love this insert set for the great yearbook feel. Maddux has less of a majestic feel, but certainly captures the ’80s vibe a bit better. I wish the graphics looked more like lasers and were neon. Would really complete the look. Lastly, for this round, was 2018 Stadium Club. I think this was a half-case break. No parallels for the collection, but I think I got a red foil Sandberg. If you have a lead on the others, let me know. I did come away with a couple of inserts here, which was nice. 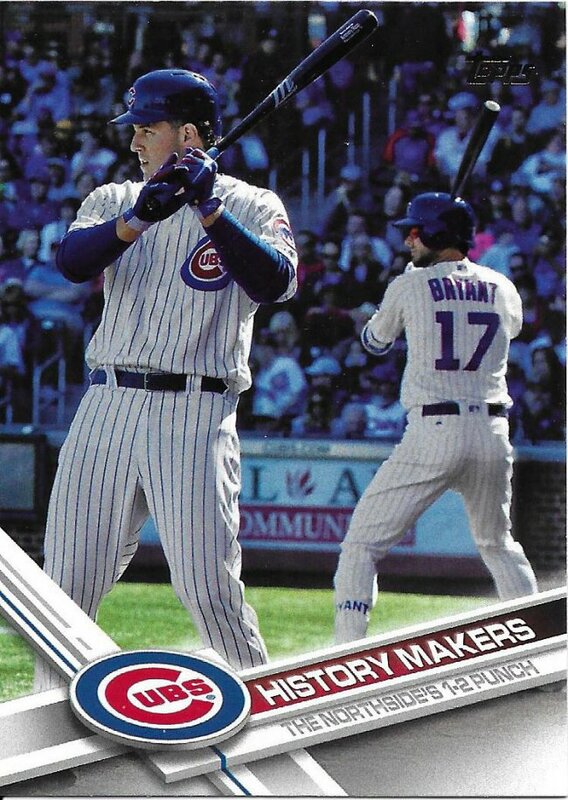 You’ll be seeing more of that Rizzo insert image in a future post. I’ve been involved in a few other group breaks besides this, but I’ll save that for another time. Too many cards, not enough time.